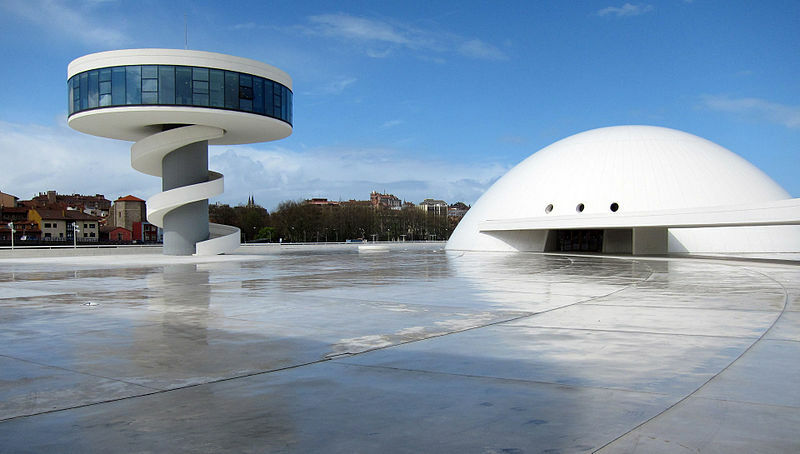 Astrology and Architecture: Shapes of Scorpio. towards an astrological typology of the design related to the astrological archetypes. The “Goetheanum” named after Johann Wolfgang von Goethe is a building designed by Rudolf Steiner the founder of antroposophy. The new Goetheanum was built after the destruction of the first Goetheanum by an arson attack on 1 January 1920. The inauguration ceremony for the new Goetheanum was held on a full moon day which was 29 September 1928. 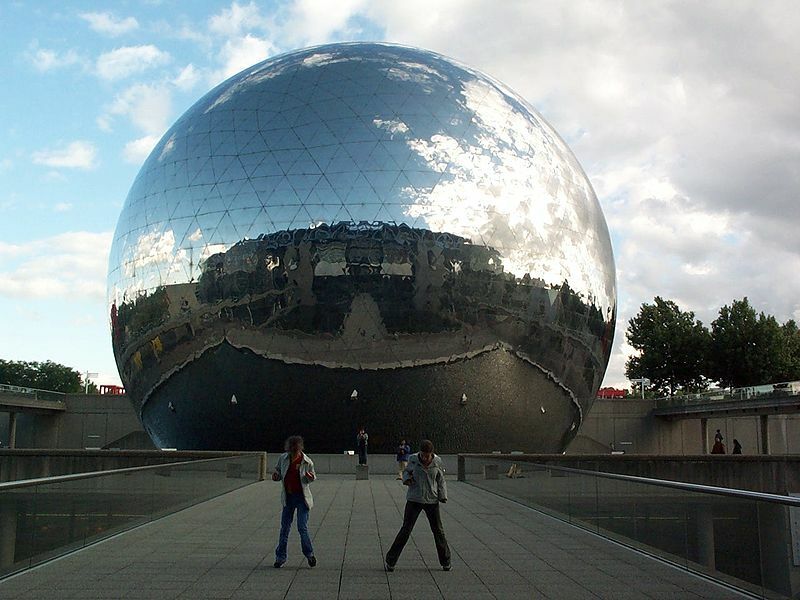 Pisces the sign of the reconnection with the spiritual origin of existence is one of the most important and most auspicious astrogeographical aspect for temples, music halls and places for art and entertainment. Scorpio the sign of physical perception, hierarchies and also of defense may be interpreted to indicate the purpose of creating an example for spiritual architecture for others to follow and also a fortress for Rudolf Steiner`s spiritual and educational concepts. 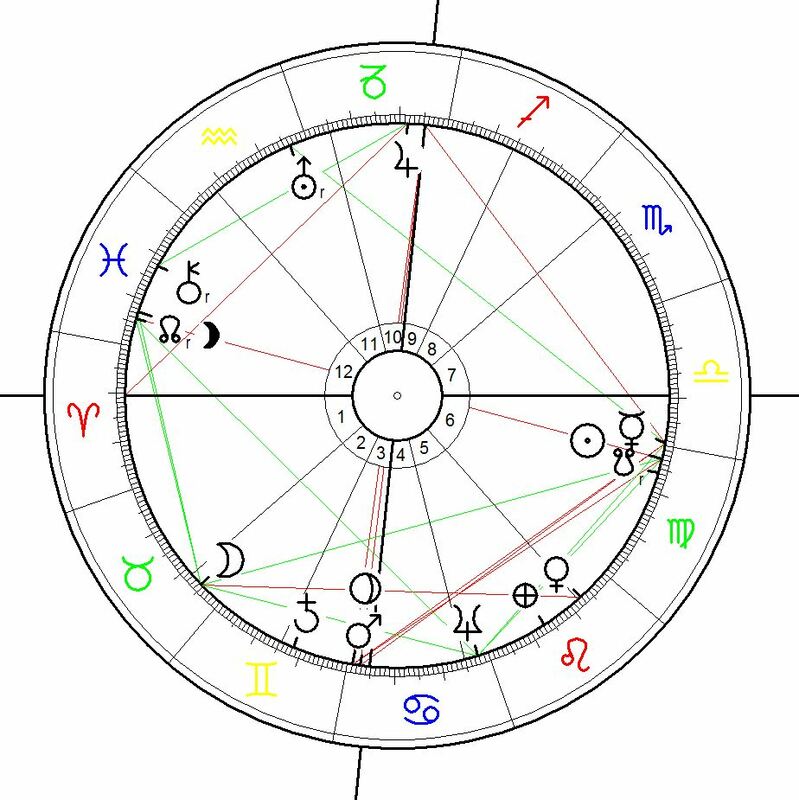 The astrological chart for the laying of the foundation stone for the first Goetheanum is interesting also because the date and time was chosen by astrological election. Due to the fact that Pluto had not been discovered yet the astrologers were not aware of the conjunction of Mars with Pluto on the day of the event. 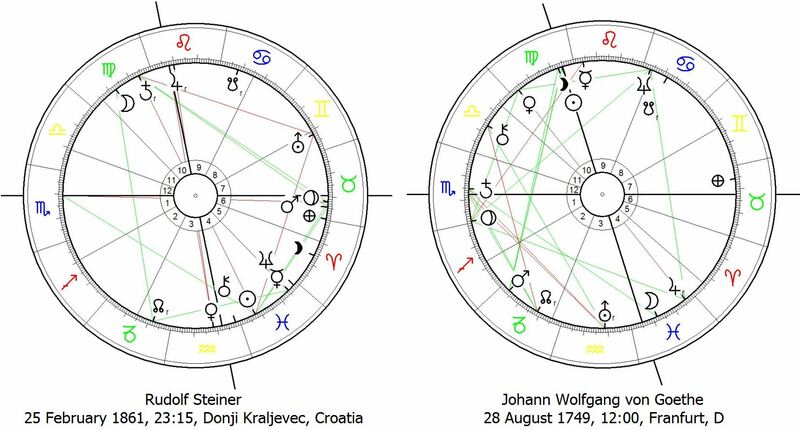 This conjunction also occurs in Steiner´s birth chart. Compare the chart of the laying of the foundation stone for Nelson´s Pllar in Dublin for evaluation of this aspect! The exact square of Mercury with Mars whose position on the IC (midnight point) stands for the spirits of the land had been problematic enough for questioning this astrological election anyway, because Mercury`s position indicates that the spirits of the place were put in question by intellectual, educational and maybe possibly even technological purposes of the building. 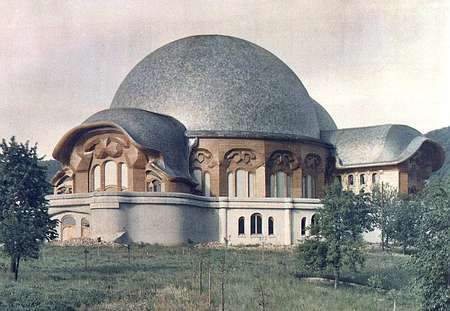 The first Goetheanum had been built partly of timber and the house burnt down following an arson attack on 1 January 1920. 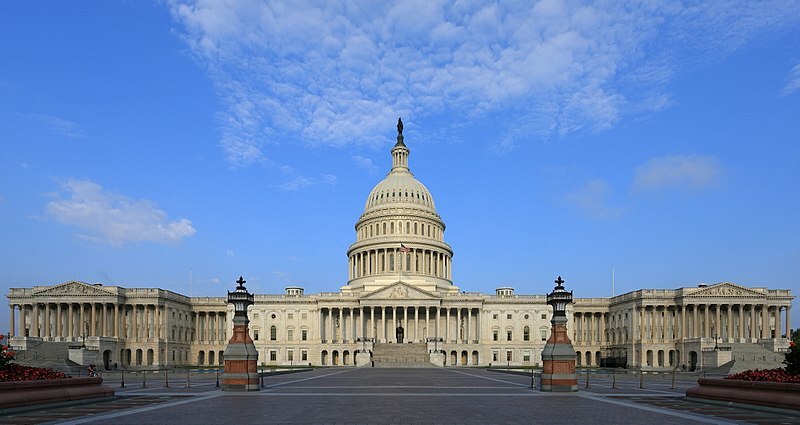 The United States Capitol, often called the Capitol Building, is the home of the United States Congress, and the seat of the legislative branch of the U.S. federal government. It sits atop Capitol Hill at the eastern end of the National Mall in Washington, D.C. Though not at the geographic center of the Federal District, the Capitol forms the origin point for the District’s street-numbering system and the District’s four quadrants. The original building was completed in 1800 and was subsequently expanded, particularly with the addition of the massive dome, and expanded chambers for the bicameral legislature, the House of Representatives in the south wing and the Senate in the north wing. Astrogeographic position of the US Capitol for morphogenetic field level 3 which describes the atmosphere and energetical topics of the whole building and larger area around it: together with the whole of the National Mall the Capitol building has the coordinate for its astrogeographical latitude in highly alert, defensive, solid, fixed water sign Scorpio the sign of fortresses, bunkers, sculpting, imaging, visualization, dogma, ideology, copies, self-defense, trauma, pain, angst, fear, death and the underworld. As the sign of sculpting Scorpio stands for the attempt to present perfect represenative buildings for the state dogma here. In relation to the 88m tall dome Scopio as the sign of the underworld and protection of the inside Scorpio relates a self-protective function like as a helmet. The coordinate for the astrogeographical longitude is located in highly energetic, magnetic, royal fire sign Leo ths sign of the Sun, light, self-esteem, centralism, luxury. Leo stands for the appeal for the highest role in society and the resonance with the 27°Leo astrogeograpohical position of Washington for morphogenetic field level 1. Beijing Opera House the National center for the performing arts of China is located at Tianmen Square to the south of the Forbidden City in he chinese capital. Astrogeographic position of the Beijing opera House for morphogenetic field level 3 which describes the atmosphere and energetical topics of the whole building and larger area around it: one cooridnate is located in mystic spiritual water sign Pisces the sign of spirituality, dreaming, main indicator for music and opera houses together The second coordinate lies in solid, fixed water sign Scorpio and stands for the compact, dense, hermetically secluded and containerlike or helmet architecture here. As the sign of sculpting, imaging, visualization, film, photography, welding, metal working, construction, stoen-masonry, the underground, underworld, trasnsformation and metamorphosis Scorpio is an important resonator not only for technical art work but also for important topics of art. Astrogeographic position for morphogenetic field level 3: the area is located in creative, innovative air sign Aquarius sign of the going new ways, inspiration and heading for space. In the polarity of the 2 signs Aquarius stands for the tower holding up a round futuristic platform in the shape of an airport tower while standing on a long narrow pole, so that the concentration of the building is on the higher part and not on the lower. Airport towers relate to Aquarius role as the sign of flying. Also interesting for Aquarius is the spiral staircase that proposes taking you up to the high place. The 2nd coordinate which lies in highly defensive water sign Scorpio is represented by the closed up helmet like round building with no windows. This fullfills the fortress reflex and helmet intention in Scorpio anf the wish for protecting the head, keeping the light away and creating a space for mental visualization and even the chance for a closed up ideology, dogmy or any simple inmerior space. This intention is so typical for Scorpio and can be observed in a number of buildings of that shape with the astrogeographical position in that sign. A typical example for that is the Beijing Opera House. What brings the two forms together is that both can be associated to mushrooms. Scorpio as the ruler of all types of funghi would be the main indicator for the mushroom association of the ensemble. Astrogeographic position of the Taj Mahal for morphogenetic field level 3 which describes the atmosphere and energetical topics of the whole area of the Taj buildings and gardens: Taj Mahal is located in defensive water sign Scorpio the sign of sculpting, sculptures, imaging, stone masonry, death and tombs. The function of the building as a burial place is to be associated with the correspondence of the site with water sign Scorpio. The reflex in Scorpio to create the perfection of an image should be considered as a central motif behind the whole project. Compare my article: Scorpio as the sign of sculpting. The second coordinate lies in solid fixed earth sign Taurus the sign of the earth, grounding, growing roots, agricultural land, market places and local energetic centers. The dome as a female form in architecture is a highly typical element to be related with the apects of the female in earth sign Taurus (compare: Hagia Sophia as a temple for the eart mother). Highly fertile Taurus indicates an expensive ground reflecting the high importance and costs of the project. 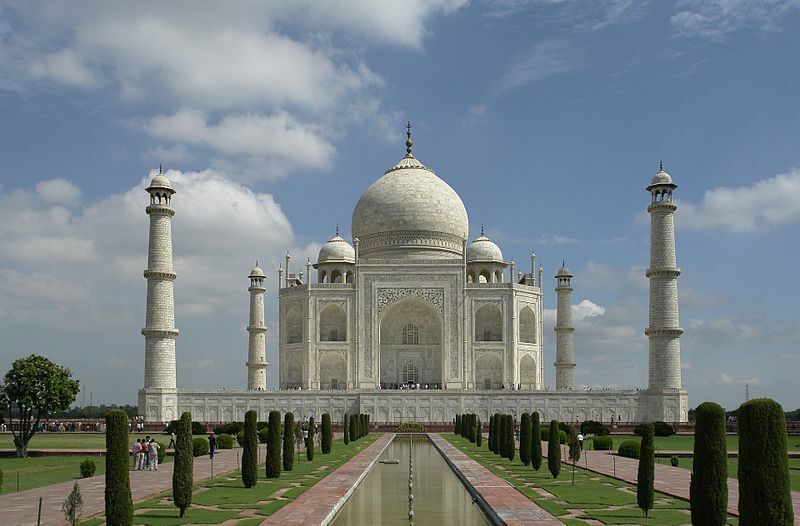 And Taurus is also the indicator for the enormous profits that the Taj Mahal attracts to the City of Agra and its inhabitants until today.